It's fully funded on the first day. 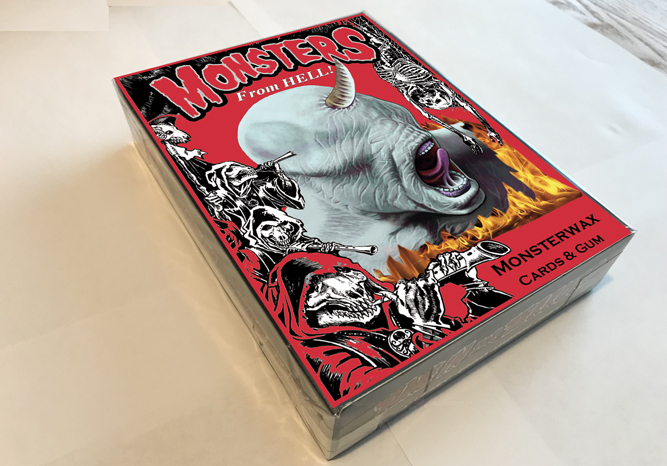 If you dig monster cards, check it out. There's exclusive promos starting at just $1 postpaid and 76 killer cards. Whats the postage costs going to be like outside of the USA? If you go for the $25 pledge Kickstarter adds $15 for shipping. We just passed the threshold for full color wax boxes. Now we're cooking with GAS! Here's the prototype box design (still subject to changes). It's getting hot around here! Excited to report that Chuck the Hun will be one of the original sketch artists. He's dy-no-mite! We just passed our 6th Stretch goal (for $7K) on the Kickstarter. Now we add the D.I.Y. 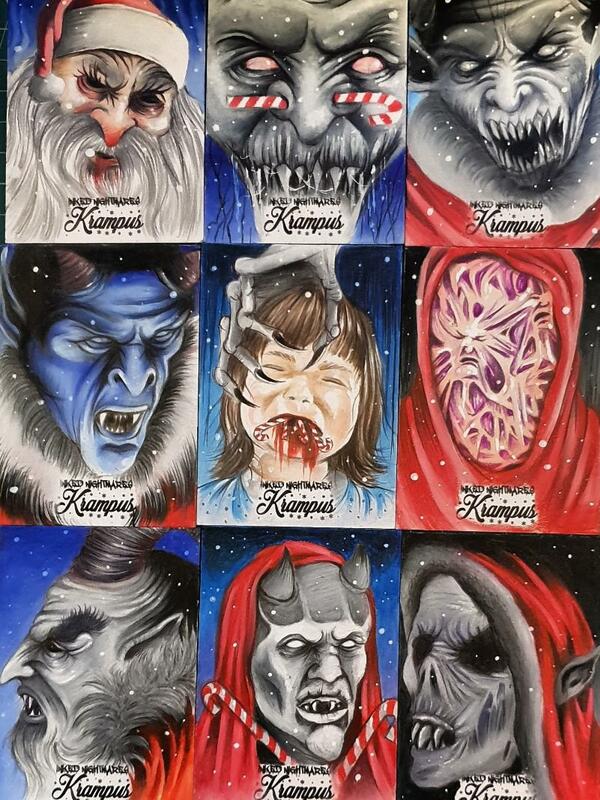 "Personal Demons" art card. The next goal ($8K) will provide three more "Favorite Fears" cards (making the total 9), and features the best of the original art cards. 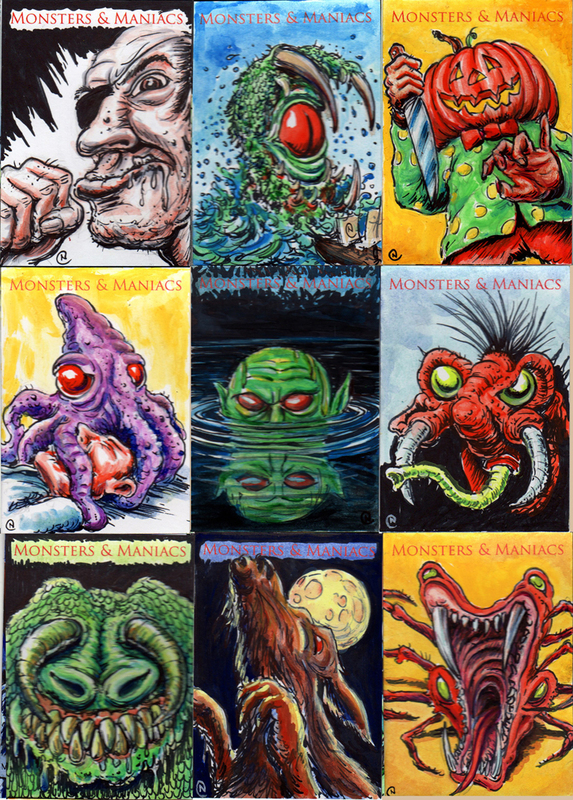 Speaking of the original art/sketch cards, I'd also like to thank our latest original sketch artist to the project, Jason Crosby! Anyone who was lucky enough to pull a Crosby sketch knows his distinctive style. It's very colorful, unique, and treasured. Welcome aboard Jason! Sketch cards look great for this set. Thanks Wolfie, we've been very fortunate getting great sketch artists. Here's another one, Jimmy Kyle! These are superb as well. 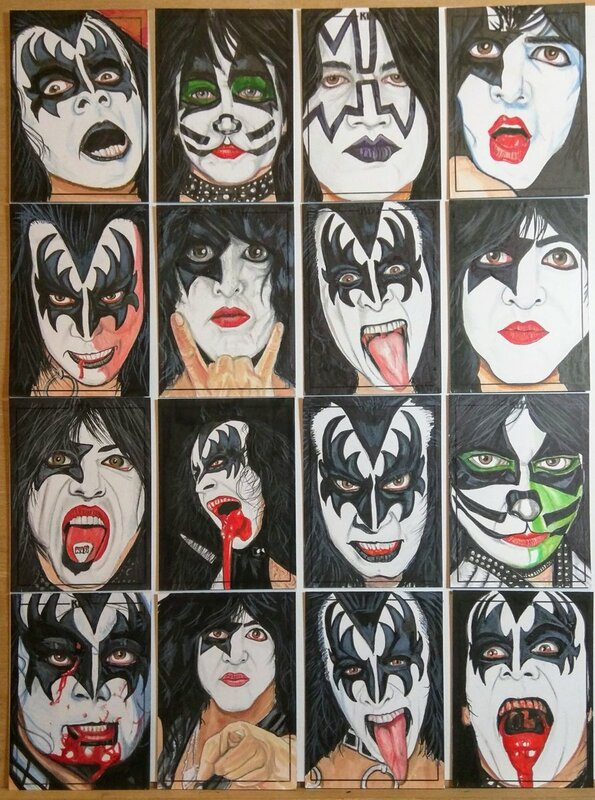 I want a base set consisting of the sketch cards. 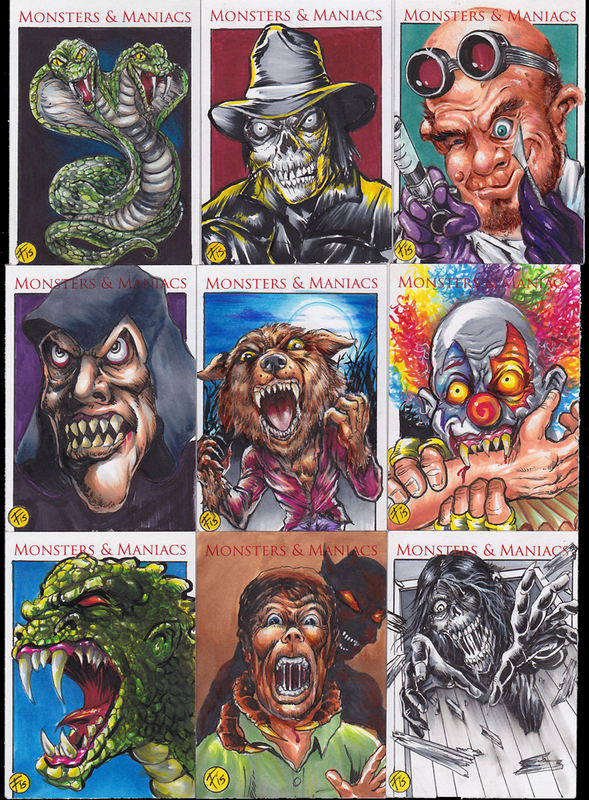 Funny you should say that Wolfie, because we JUST passed the $8K stretch goal which adds 9 of the best art from the sketch cards ("Favorite Fears" cards, 1:6 packs). 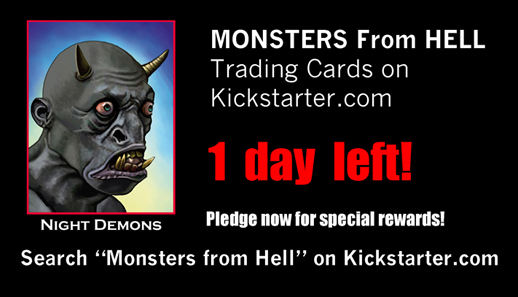 If we reach $10K (pretty likely), it will reach 12 Favorite fears (1:4 packs). So like we say in hell, "Be careful what you wish for... you just might GET IT!" Oh, and here's our latest addition to the line-up, the beautiful Rebecca Sharp (a neighbor of yours across the pond!) 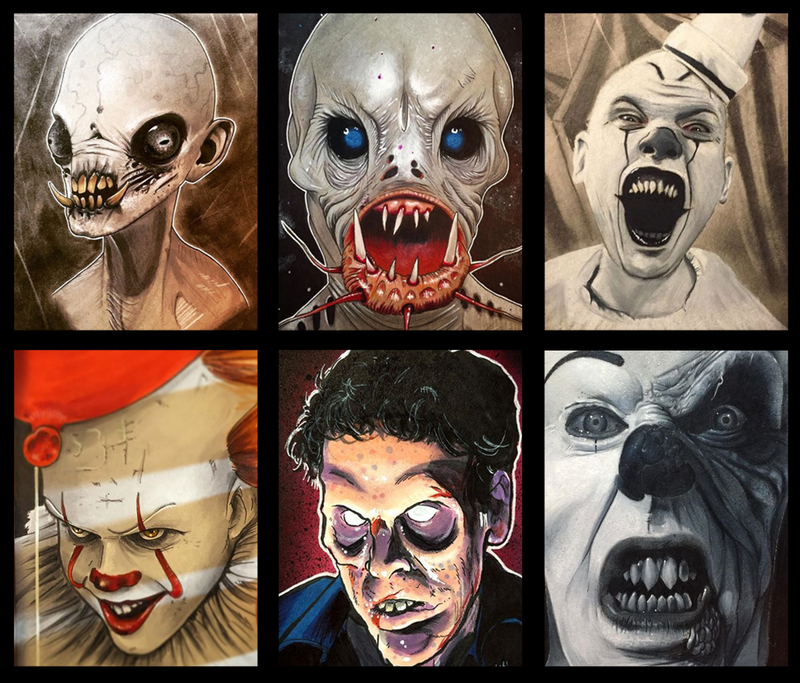 Rebecca has added her distinctive art to sets like Star Wars, The Walking Dead, X-files, Stranger Things, and Krampus. Her warm color realism will fit perfectly with a hot series like this. Welcome to the Hell, Rebecca! Another great sketch artist on the terror team, the amazing Floyd Sumner. Can i claim image rights for the one in the middle? Didn't he pay you already when you modeled for it, Wolfie? 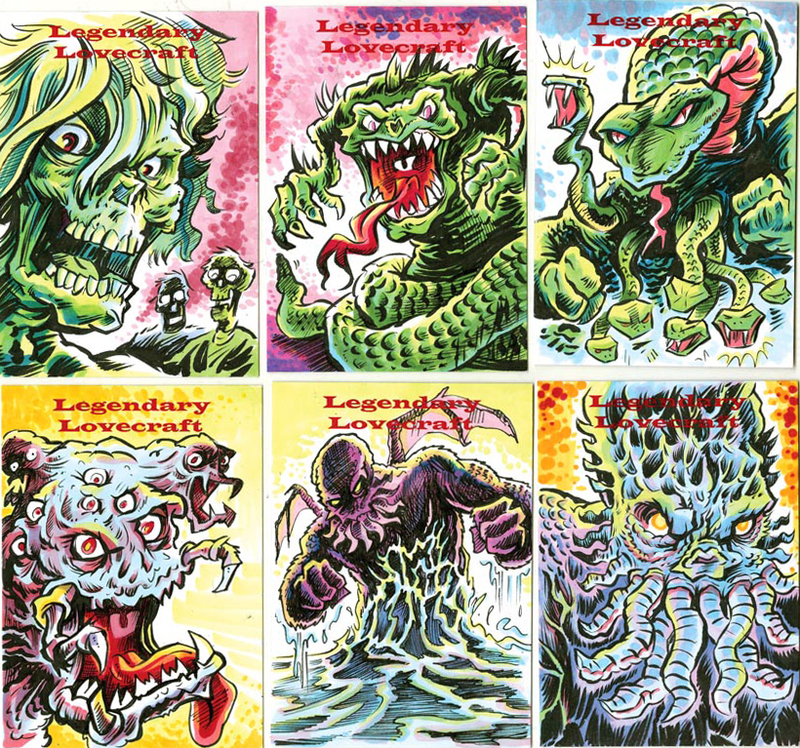 We just added a "Super Master Set" pledge level to the Kickstarter that allows six people to get a master set of everything, plus original sketch cards from ALL 12 artists for less than $25 more per sketch. 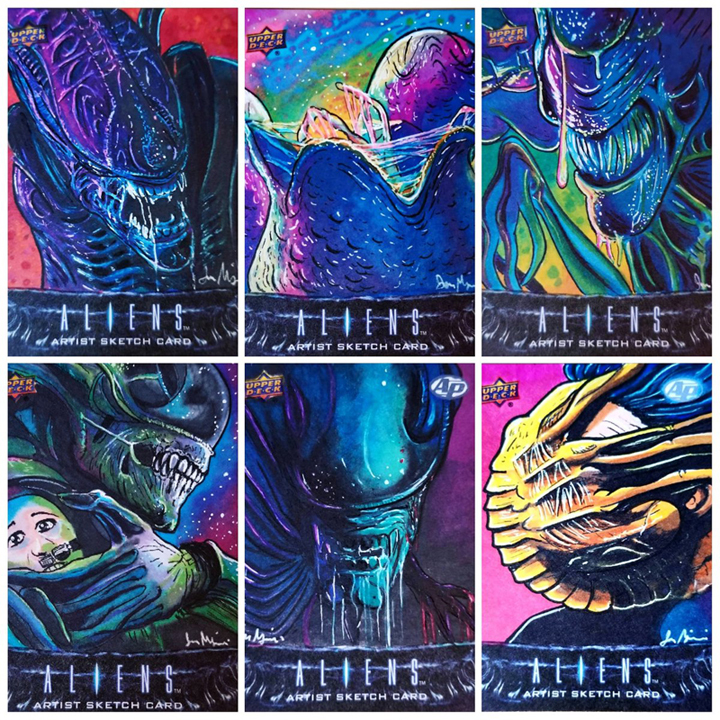 That's some phenomenal one-of-a-kind artwork from Tim Proctor, Mike Stephens, Jason Crosby, Trey Baldwin, Rich Molinelli, Scott Harrell, Jim Kyle, Neil Camera, Jon Mangini, Floyd Sumner, Rebecca Sharp, and Chuck the Hun. I'm happy to report we passed our $10K stretch goal, adding 3 more inserts and bringing the series total up to 118 cards. This has evolved into a really cool series! Here's a sample of previous work by another one of our sketch artists, Scott Harrell. Here's some samples from Jon Mangini, another sketch artist we're delighted to have. Now we're down to our last couple of days. The end is nigh! I know that Beckett would love to get a box of these for a live box break. We will happily promote anything you want us to promote on social media, as well. Please contact Matt Bible at mbible@beckett.com. This product looks incredible! Now we're down to the last HOUR. It's been a blast!